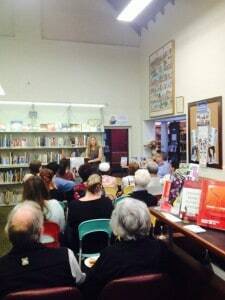 It was an Author Talk tour of epic proportions. 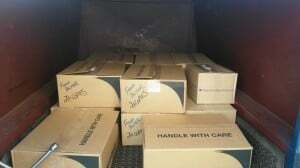 One blue Holden Commodore with a trailer full of books travelling over 2,400 kilometres across the state of WA. Inside this tardis like vehicle were authors Fiona Palmer (driver) and Rachael Johns (navigator – with the help of WhereIs and our Wog Boy guide). 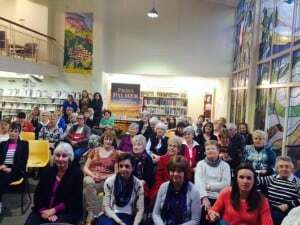 We set off in September to Albany for a talk at the library and were interviewed by famous local Jon Doust. It was a belly laugh talk with Jon digging deep and asking the tricky questions. Then we headed to Kojonup, Rach’s old stomping ground and first country home, also where Jilted was set. It was our first night of talking together, sharing our journeys to publication and the stories behind our new books. We got settled in at our gorgeous B&B, quick freshen up then off to Capel to a spread fit for two rural queens. 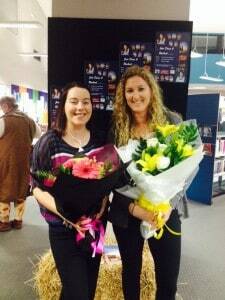 🙂 The Wednesday Girls entertained us with singing before and after the talk, the food was delicious and the flowers we received were amazing. Capel had set the bar high! That night we opened a bottle of bubbly that we’d received and toasted the release of our new books Outback Ghost and The Sunnyvale Girls. 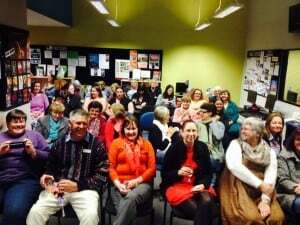 The following day it was off to Bunbury for a lunchtime talk at the library. 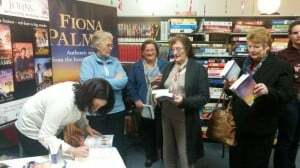 Next was Perth, with a quick stop in Mandurah to sign some books. Our biggest drive was to Geraldton (just over 4hours) to the ABC radio station for an interview. 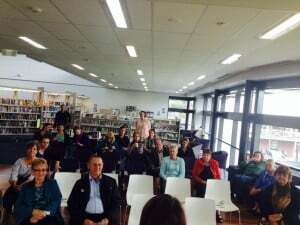 After chatting with Glenn we headed down to Dongara (Bunyip Bay in Rach’s series) to talk at the Rec Centre for the library. 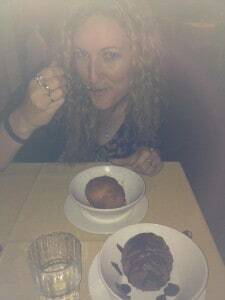 Again, more amazing food and wine! Kalannie was our next stop for a lunch talk, we passed through many little outback towns along the way – which we took notes on for our next books. It was during these long drives that you would think we would have saved our voices….NO. 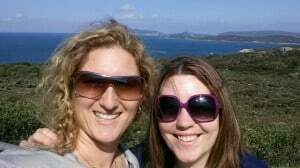 We talked non stop and even managed to plan another book in Rach’s Bunyip Bay series, plus plot details for other. We stopped at Kalannie in time to hear our interview with Glenn on the radio and laughed our selves silly at how we sounded and our repeated words (you know) and how Glenn picked it up by the end of the interview. 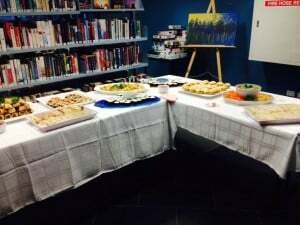 We set up at the Kalannie library and enjoy an amazing lunch with a lovely group. As we left to get to Toodyay in time for our next event we hit a snag. The car battery was dead. Must have listened to the radio with the lights still on! Whoops. 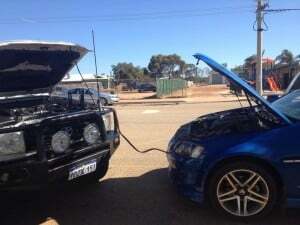 Lucky the locals helped out, jumper leads were produced, a ute pulled in close and we jump started the car and after only twenty minutes delay were on our way. Thank goodness for a great country crowd. 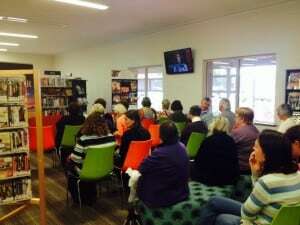 In the gorgeous Toodyay Library. 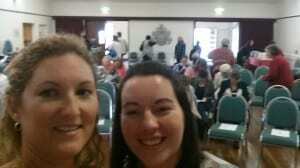 We made it to Toodyay for another fantastic event before driving back to Perth for our last one in Gosnells the next day. 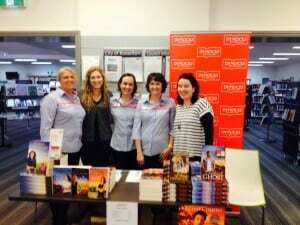 We had a full house at Gosnells and found that the most asked question was about our covers and people wanting to know if we have much say in them. 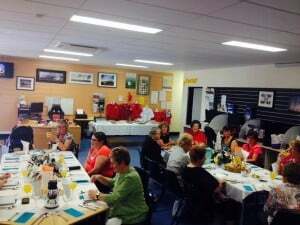 By Gosnells we were feeling the effects of all the driving and talking, but once we saw the eager faces in the crowd we couldn’t help but spring back to life, happy to share our story with everyone. We still have a few events together in October and we look forward to coming together again to share our journey again. The RuRo Roadtrip was a hoot.